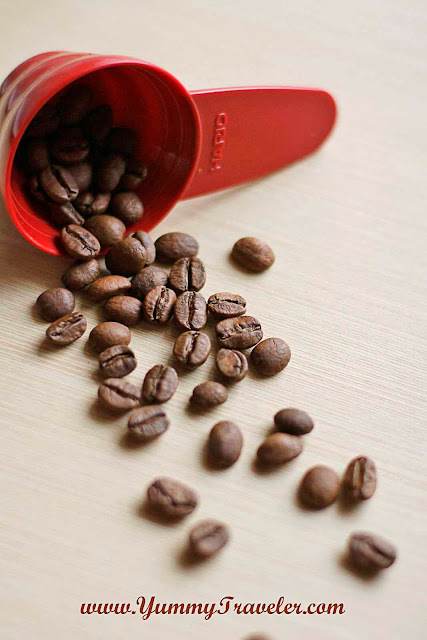 Coffee, which a part of my daily life, already become one of my passion lately. Still a newbie, but just like my dad, we're a big fan of strong and full-bodied coffee. So from my last week trip to Singapore, coffee-hoping is already on my agenda. Recommend by my coffee-connoisseur friend, @kulikopi, this coffee shop in quiet Everton area, definitely worth a try ! ( read : for those who passionate about coffee only ). Looking at their mustache logo, Nylon who stands for New York and London, bringing a new vibe of indie-hipster coffee shop in Singapore. Looking on how they do their coffees and their space concept, you'll know they are serious! Don't expect a big spacious quiet sitting area with high-speed internet service ( like those in Jakarta ). When I come there it's packed with people who only wants one thing, good cup of coffee. So many regulars that seems the owner, Dennis and Jia Min, knows them well. 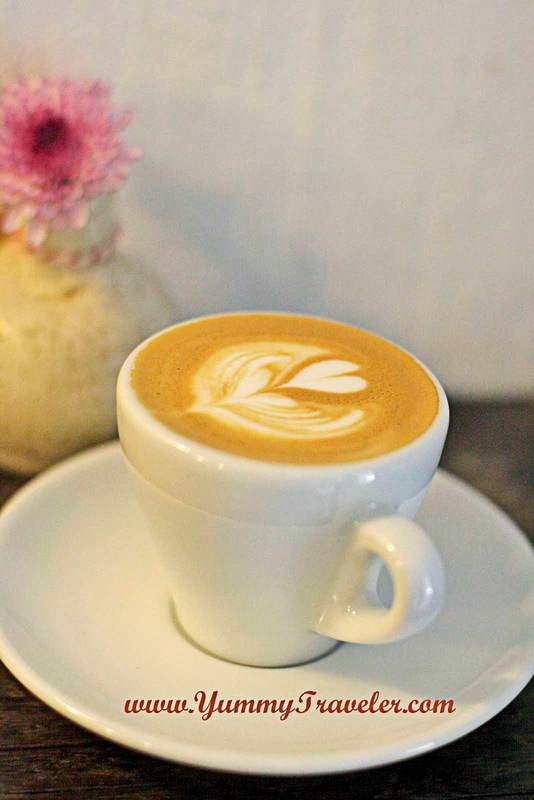 For a first-timer like me, Jia Min recommend their Seasonal Espresso Blend, Four Chairs. A mixed of single origin coffee from Nicaragua and El Salvador. I opted for 3oz ( SGD 3.80 ) cup, because I'm going to another coffee shop after :p And yes, they're also Roasters, so they blend and roast the coffee by themselves. My cup of Four Chairs turns pretty awesome. 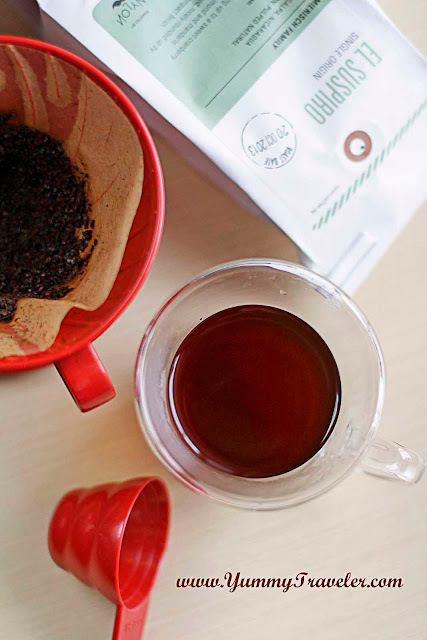 The acidity was suite me well, and I always love coffee with nutty hazelnut notes. 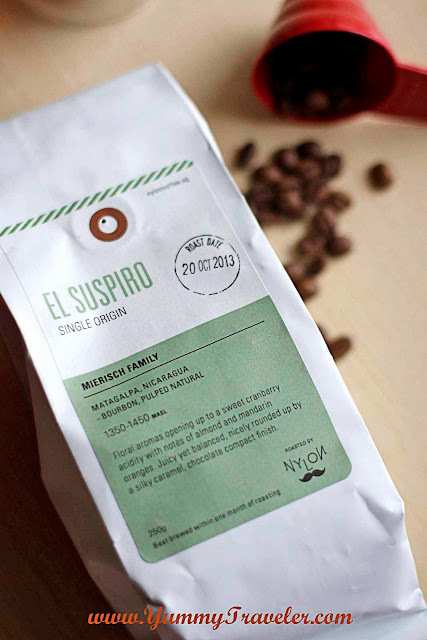 I also bought some of their single origin coffee beans that perfect for pour-over, El Suspiro ( SGD 17.50 - 250gr ). Produced by Mierisch Family in Matagalpa, Nicaragua this one is a perfect coffee for you who like fruity taste. I definitely can taste the citrus-flavor at the first sip, and chocolatey finish at the back. However, the body was too light for my liking. If you like the light fruity coffee, go for this one!